LSSP – 79th Anniversary Or 4th Anniversary ? The 79th Anniversary of Sri Lanka’s oldest political party, the Lanka Samasamaja party (LSSP) falls on December 18th. The party of NM, Colvin, Leslie and Bernard not only played a major role in the anti-imperialist struggle but was also responsible for fighting for and obtaining many of the benefits enjoyed today by the working class and the ordinary people of Sri Lanka. Most of them have been diluted and even been made irrelevant on World Bank and IMF advice by successive governments in their quest for growth and high per-capita GDP, economic objectives which do not appear to trickle down to improve the standards of living of ordinary people. The right to strike and to demonstrate is often restricted by the state through its police and Courts on the basis that it would cause inconvenience to the public. The free education which we enjoyed is underfunded and offers little prospect for the improvement of the education and future prospects for the children of the rural poor and is fast being replaced by “international” schools and private Universities encouraged by the state. The free health service has over the years been progressively privatized. The Party itself enjoyed the confidence of the working class and the respect of the general population for its adherence to democratic principles, its struggles on socially relevant issues, its stand on anti-working class and anti-people policies and above all the integrity and incorruptibility they showed in their politics. Its principled stand made it at that time the Party with which the intellectual community and educated youth identified themselves. NM was the first to draw attention to the authoritarian nature of the Executive Presidency and the consequent dangers to the democratic character of the State posed by the 1978 Constitution. NM felt that a new constitution that abolishes the Executive Presidency and restores power to Parliament was the only way out, a view that is now generally accepted in the country. However the Party that took a principled stand in all its policies faltered in September 2010 when its two members of Parliament against the decision of the Party voted in favour of the 18th Amendment to the Constitution. Although the Communist Party too voted for the amendment, they have since, unlike the LSSP, apologized to the people for what they now consider was an incorrect decision. 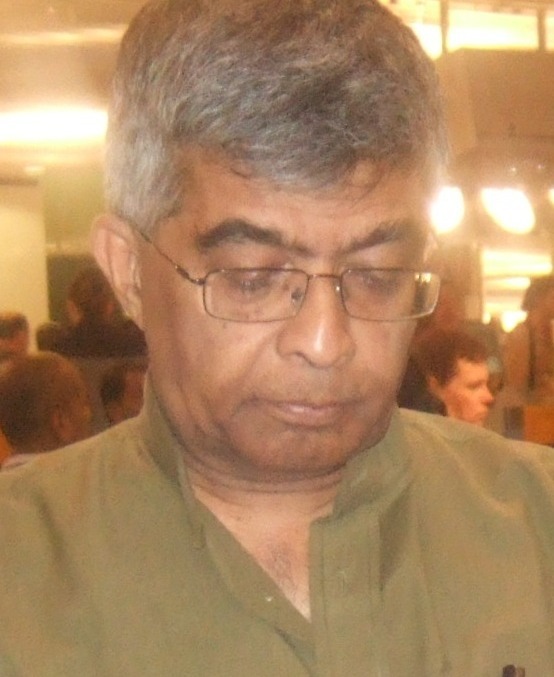 In December 2012, one of the two members of Parliament again went against the Party decision again and voted for the impeachment of Chief Justice Shirani Bandaranayake. Although the LSSP members of Parliament broke Party discipline to shamelessly accede to the President’s request, the Party itself has not gained anything in return. The party’s present General Secretary, Tissa Vitarana headed the All Party Representatives Conference (APRC) mandated to develop a “home-grown new Constitution” which would provide “a comprehensive approach to the resolution of the national question.” The APRC met from June 2006 to June 20d09 and through the determination and dedication shown by Tissa Vitarana and other members of the Conference, its final report which provided a possible solution to the national question was handed over to the President in August 2009 but no action has been taken on it with even doubts cast by the Presidential Secretariat as to whether it was received. Prior to this, in January 2008, the APRC was requested to provide an interim report which could be implemented without Constitutional amendments and as requested by the President, the interim report merely recommended the implementation of the 13th amendment to the extent possible. The interim report was given the widest publicity and used to convince the international community that action was being taken. However the efforts of the APRC and Tissa Vitarana in compiling the final report were in vain as events had overtaken them with the Government feeling that no solution was necessary since the LTTE had been comprehensively defeated. Not only were the recommendations of the APRC ignored but to add insult to injury, Tissa Vitarana was not even appointed to the Parliamentary Select Committee set up last year seemingly for a similar purpose. In November 2010, Tissa Vitarana who was the Minister of Science and Technology was unceremoniously kicked upstairs to become Senior Minister of Scientific Affairs. The ten Senior Ministers appointed on that day were not allocated any departments or institutions and shared two Ministry Secretaries with offices in a three storey building in Kollupitiya. The LSSP accepted this change with no protest. 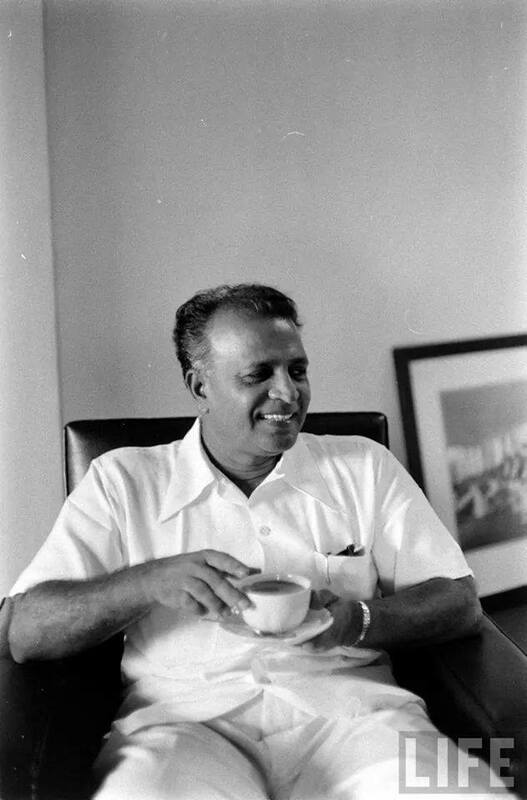 Compare this with the stand LSSP took in 1975 which left the Government with a public show of protest rather than accede to Prime Minister Sirima Bandaranaike’s request that one of its three Ministers, NM relinquish the Finance Ministry, where his policies were hurting the capitalist class of the country and accept instead the Ministry of Trade and Commerce. Early this year, the Party passed a resolution giving substance to NM’s stance on the Executive Presidency demanding that no more Presidential elections be held and requesting President Rajapakse to amend the constitution to establish a Parliamentary system of government. This became the main slogan of the Party on May Day 2014 and the position the Party took consistently since then. However in October this year, the Central Committee of the Party which had met to consider three documents to discuss future policy of the Party were confronted in the late evening by a resolution, for which no prior notice had been given. The resolution hastily read out by the Chairman was for the LSSP to support Mahinda Rajapakse at the Presidential election. At that time no decision to hold an election had been made and no candidates had been announced but the Party in spite of its previous resolution against the holding of a Presidential election which had not been rescinded passed an improper hasty resolution supporting an undeclared candidate for an undeclared election. The only conclusion one could come to was that the resolution was inspired by elements outside the Party who were trying to use the Party to offset the negative effects of the resolutions passed by the JHU and its threat to leave the Government. The LSSP of today is no more the Party of NM, Colvin, Leslie and Bernard. We have had in its place a Party since 2010 with no independent ideas, a party which is amenable to tuning its policies and decisions to satisfy the needs of the President. The LSSP of today has no problem holding joint press conferences with the likes of Wimal Weerawansa and side kick Muzzamil denouncing the challenge to the President as a deep seated plot of imperialist forces to re-colonialize Sri Lanka. The extent to which the Party has departed from the commitments of its old leaders was shown by Tissa Vitarana even condoning corruption while defending the prevailing system stating it was a characteristic of countries on the path to development. I believe the present LSSP has no right to celebrate the 79th Anniversary of the Party which stood firmly against the policies it now nurtures and espouses, especially the position it now takes which directly contradicts NM’s views on the Executive Presidency. It would have been more appropriate for the present LSSP to have celebrated the 4th anniversary of the remodelled Party on September 8th, the day which it should revere as it was the day its members of Parliament raised their hands in support of the 18th Amendment and ensured that they would always have to fall in line with Presidential diktats. Now to the point. VK does not sufficiently emphasize one matter. Though young as we were (he and I and others) and we had opposed NM’s coalition strategy in 1964, there was and is absolutely no comparison, morally or intellectually, between the Old Gaurd (LSSP and CP) and the new bumkins (all three Dead Left leaders). The Old Guard at that time set out to develop a path to socialism through parliamentary alliances since they reckoned that world revolutionary conditions had changed post-WW2. They reckoned that democratic “capture” of state power and internal transformation of the state was right. Never were they greedy opportunists in search of ministerial jobs, perks and goodies. (It was NM who precipitated the POLITICAL crisis that got us kicked out by Mrs B in 1975 because he reckoned the Coalition Government had become a disastrous failure). It can be argued that they erred in theory and strategy in 1964 and 1970 to about 1974 – I agree with that criticism. But never would I put those men and women in the same basket as today’s rotten eggs. (VK is not implying that they can be put in the same basket; its just that I want to emphasize the difference because with so many rotten eggs on all sides these days, people sometimes overlook the difference). Yes but the whole setup of policy and planning of Socialism is an utter failure whether you get power by the bullet or ballot. Even todays news Cuba for the first time is cautiously approaching the US for recognition because its mentor Russia is in Rouble Trouble – 40% still going down and the 17% interest rate with no infrastructure is a killer blow. Russian Oligarchs in the west are in for new business in diamonds and platinum. Even Tony Lair s much fancied Left of Centre was all but pure spin by journalist and social bootleggers. The Coalitions were convenience strategies to get and stay in power. The core problem in the Left and socialism is the relationship between reward and productivity. Common ownership is nobody’s ownership and low productivity. Personal ownership means personal rewards, and therefore incentives. Look what Medamulana MaRa has done. People elected MP’s to represent them. The MPs did what what on their personal interest.. Allowed to be bought out by MaRa. True, what MaRa has done is the Extreme. What NM et al. dis was milder, but retained some of their principles and ethics. Left is now for Let. Red is fully absorbed by Dark dirty blue and it is now sucking the blood of the people to build a kingdom for Makinda and Gota. Please don’t talk about red any more. But even in the LSSP we observe certain medamullana features.Otherwise how can the nephew of NM succeed him (even after three decades) when the nephew is not anything like the great man nor is he even a socialist by word. Tissa Vitharana is like a priests who takes to robes so that he is well taken care of. 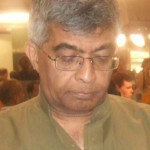 What about the scoundrels who claim the political heritage of the other great -Philip Gunawardena. Bribe taking , racism, thuggary, naming roads and buildings after them, this is what the gunawardenas of the present represent. They are very much symbols of a corrupt and violent status quo. It is good that both NM and Philip are not here to observe the spurious claims of their family heritage. The confiscation of private and sterling property, queues and more queues, printing of notes and the fires- fing cultural revolution and you make all and sundry reap the harvest.– What is the value of your passport?? that carries the socialist stink. Se fue de cabron like the present french socialist president. Worst of all quota system who could study what- standardisation the curse of brain drain. You must know when to rap things and just keep your baggage at trade union level than main stream politics as the Brits like it. If your kamkaruva could run a nation he would not be a kamkaruva. The kamkaru in politics is the parasite- NM, Colvin Bernard et al. (in a very short span they robbed us all for personal glory using a school drop out Sirima with her crocodile tears and thambili output – Hora ge Horu. All men lie I lie too! The LSSP is not the party of NM, Colvin etc and the presnet leaders have sold their souls for a pittance as they have no consense now. They have become very ordinary people looking only for benefits. They will finish the history of the party soon. The LSSP,CPSL and Burolugoda veeraya Phillip all allied and got got hold of Srimavo’s saree POTA and sabotaged the ULF in 1963/64. There is no Left in SL today, the JVP does not come across as a left party at all. They are a confused lot prating inanities and wearing red shitrts. It is Sinhala Centred and does not have a genuine trade union base. The Left has been left out in SL politics. Mahavamsa facist iomythology predominates and it is propagated via school,curriculum today. The word describing SL as “Socialist” in the constitution is just a hollow sound bite. No wonder the fascistic LTTE helped to put MR another fascist in power in the country. Kumar D states that … Tissa Vitarana … even condoning corruption while defending the prevailing system, stating it was a characteristic of countries on the path to development. From a purely scientific, systems point of view, Tissa Vitarana is correct. Corruption is a characteristic of development as well as decay . We know from Thermodynamics, and from the theory of dissipative systems, that entropy is the physical analogue of corruption, as it is a measure of corrupted energy. Shannon (Bell labs) and Landauer (IMB) firmly established the link with information and negentropy, corrupted-information and entropy. A water stream that flows very slowly (Newtonian flow) displays no eddies or turbulence. But at a higher rate of flow (fast evolution) turbulence sets in. Energy (money) is trapped by other agents (eddies) besides the flow head gaining speed or overcoming internal friction. Having money is having the the capacity to transform and hence it is essentially a form of energy. An economic system which changes infinitely slowly (stagnation) does not change its entropy and has no corruption. But make it change fast (both in the growth mode, or in the decay mode), and you have to have entropy production and dissipation. In economic terms, that is corruption. These ideas have been given serious formulations by some social theorists. You cannot have growth without corruption. I think this is what Tissa V would have meant, rather than his “condoning corruption”. Sociology is neither art nor science but impulsive.- grass root politicians. Still waters run deep. The first million is made with fraud. See the number of flourishing tax consultants and tax heavens. Even the Yogi in the Himalayas drinks Horlicks.